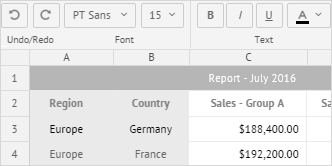 A pivot table that helps you to summarize large numeric data sets in one spot. A pivot chart that helps you to research and analyze large quantities of data and the relationships between them. An integration extension that allows you to add the mobile version of the scheduler to the app. A component that helps you to visualize and optimize your workflow. A component that helps you to navigate folders and files in a handy way. A component that allows creating various customizable tables that keep data locally.